The post title pretty much says it all but it is worth noting that there's not much in the way of PSP stuff at all in here. We finally get another biggie from the PSOne vault but get skimped on the Portable stuff. Nintendo today announced it's release schedule for this coming year and it's a good one. Honestly, all they had to do to make the faithful cry tears of joy was announce Galaxy 2 and Metroid. They could have called it a day after that. Complete lineup *including the release date for the DSiXL after the break... DSi->Wii & DS->WiiWare->DsiWare -- in that order. Wow, not much from the big 'N' this week at all. Ghostslayer for WiiWare is pretty self explanatory and does sound kinda cool- but where are the VC games? Glaring in their omission this week, there are no Virtual Console games to be found. None. They have been dwindling lately, but this is just wierd. There are plenty of great games left in the catalog of the ages for Nintendo et al to sift through and unearth. I hope this isn't a trend. This week's PSN update includes some standout stuff in the form of the 'Bonfire of the Vanities' episode for the excellent Assassins Creed 2, the first DLC expansion to Resident Evil 5 as well as a couple of new paks for LBP for the PSP. This looks pretty slick actually- Nice work MS. This link heads to a YouTube Reuters story about the W7 phone. It's a nice little piece that'll get you the basics. I would've just embedded it but it's ... UNEMBEDDABLE!!!!!!!11!!!!! This week's stand outs on the Nintendo front have to be the classic Sonic & Knuckles and a Wii port of Phoenix Wright's second DS adventure. S&K is the one and only VC game this week and is one of my all time faves. Check it out if you've got any spare points cluttering up your account. Sega even managed to maintain the 'lock-on' gimmick for the downloadable game- which means that if you have Sonic 2 & 3 on you VC, you can go back and use Knuckles in them! Cool stuff. The second notable is the cartoony lawyer 'sim' sequel- Phoenix Wright Ace Attorney: Justice for All. If you've never played this on the DS, then It's definately worth a look. The Phoenix games are a little kooky, very different from what you're probably used to, and pretty fun to boot. This week on LIVE had fighting, fighting, and more fighting. The deal of the week featured three hand-to-handers with the Ninja Turtles (400pts), Marvel vs Capcom 2 (800pts), and an Invincible Tiger (800pts)- which sounds scary. I mean, a regular tiger is scary enough but an invincible tiger? Yikes. I should be happy- I was running dry on cute ways to say 'fighting'. Toy Soldiers - March 3rd! Hey, forgot to mention in that X10 update that the absolutely amazing looking Toy Soldiers will be available for download on Xbox LIVE on March 3rd! I'm super pumped for this one- Find out why here. *Thanks to Major Nelson's blog for reminding me! This week Sony graces us with a demo for the hotly anticipated adventure/depresser Heavy Rain. The game looks amazing and with it's emphasis on storytelling and character developement, just feels like something special. There is a lot of buzz about the somber mood to the title though, and I wonder if it might be a bit too much of a bummer for a lot of the folks who play games to basically just have fun. Is it a positive that something like HR could get made? Absolutely. Will it be a big seller? Extremely doubtful. There's also some stuff for Dante's Inferno, Blaze Blue, and Little Big Planet floating around if you're so inclined. And if you're looking for PSP games, we've got a double shot of racing games two packs as well as (stunningly) some PSOne Classics featuring Populous and Sim Theme Park. Microsoft's on again 'X' convention has begun and they've unveiled a bunch of tidbits about the most wanted Xbox 360 games of 2010. Among the most notable of new info was the firm April 18th release date for the loooooong awaited (and very cool looking) Alan Wake and the announcements of two exclusive DLC packs for zombie-bashers Dead Rising 2 (Case Zero) and Left 4 Dead 2 (The Passing- featuring the characters from the first game!). There's also some stuff about a new Final Fantasy/360 bundle and a bit about Crackdown 2, Halo Reach, and Fable 3. If you're off of work. Which I'm not. So no snow day for me. Wait a sec... was that Haiku? Okay, so I had no idea anyone was working on a new Blaster Master game but hey look- there's one up on the Wii right now! I have to confess that BM (what an unfortunate abbreviation...) was one of my all time favorite games for the NES many, many, moons ago. The game, which involved piloting a Metal Slug-like tank through an underground world while shootin' away at all manner of nasties that mqade little to no sense. More fun than it sounds. Trust me. Anyway, the game never really birthed any kind of franchise to speak of. There was a game on the PSOne that really wasn't very good and that was it. Hopefully this one fares a little better, hey at least it's a side-scroller. There's other stuff this week too, hit the break for all the scuttle- including Princess Tomato in Salad Kingdom. Seriously. Live had a few nice little tidbits this week including the demos for Aliens vs Predator and Battlefield: Bad Company 2. The Arcade title, 'Chime' also was released. 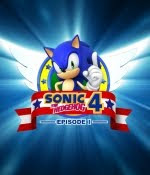 Okay, so we now know that Sega's secret project, codenamed 'needlemouse', is Sonic 4. And now we know that Sonic 4 will be an old school flavored side-scroller with some beautifully rendered 3-D lite graphics. I like it- and I'm sure you do too if you're a Sonic fan. Actually, Sega probably couldn't have done better as a follow up to the (mostly) atrocious current-gen Sonic efforts. Or maybe they could have. You see, Sonic 4 is a downloadable game. So the only way to get it is to buy it off of LIVE, PSN, or WiiWare. Why is this no good, you might ask. Maybe to you it isn't the case, but to me the downside of these types of games is that they almost never go on sale, there's no physical media (it's an issue for me), and they're tied to personal accounts which kills sharing. This probably isn't a big deal to a lot of you out there- I'm just saying, I'd rather have a nice shiny new 'Sonic 4' boxed on my shelf than invisible on my Hard Drive. There's some stuff on sale too as well as After Burner for the PSP which I'm excited about for some reason. Full update after the break. Perhaps you should be humming Taps when you read this post as Xbox LIVE bigshot Mark Whitten has just announced that servers for the original Xbox as well as all original Xbox games (even when played on your 360- and yes, this includes Halo 2) and all Xbox originals downloaded fron LIVE will be shut down on April 15th. This is sure to upset quite a few people's apple carts but it really might be for the best as it will presumably remove many of the restrictions that exist for gaming over LIVE that are holdovers from a time when the online gaming medium wasn't quite as advanced as it is now.